i'm playing around with some vintage halloween-inspired creatures. here are my little ghosties. 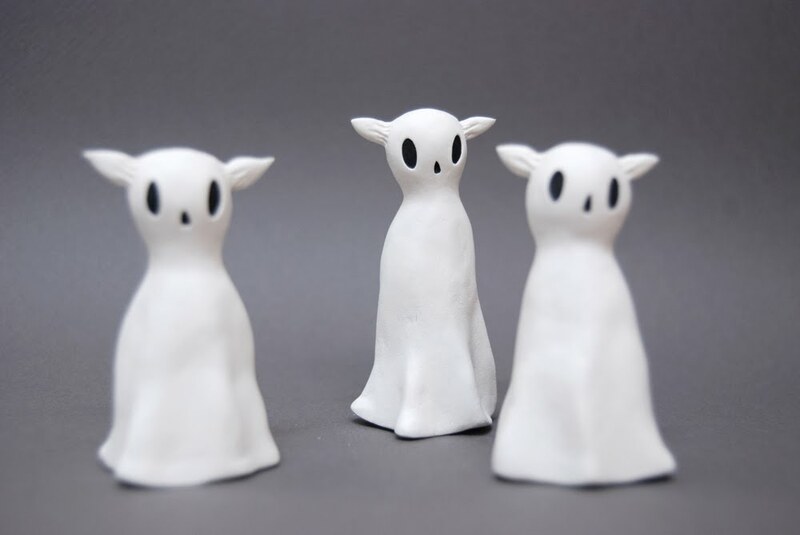 they will probably end up as familiars to some witchy dolls. scary no? Ha, these are excellent..they look slightly vulnerable, as if they are slightly upset to realise their situation. The one on the left also looks like my dog (if he was wearing a sheet). Love them. These are wonderful! They look like they floated off a vintage Halloween post card!